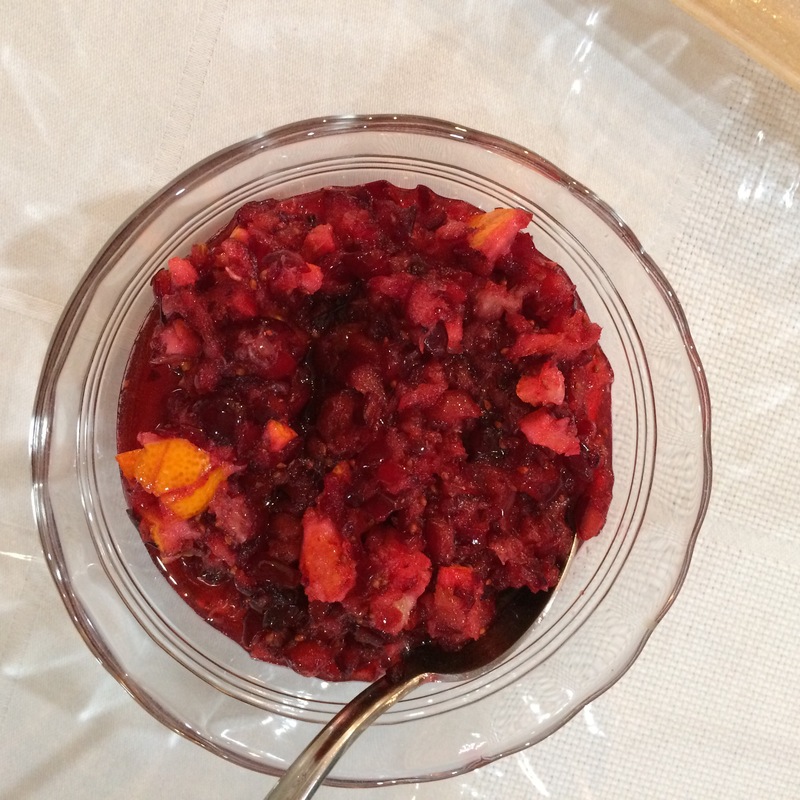 A great combination of cranberries and oranges!! I love it. And with the ginger, it is awesome. I like the pungent with the sweet and the sour. Funny, when I lived in the States nobody in my husband’s family ever made cranberry sauce: it always came from a can. Yet it looks so easy! Thank you for following me, I hope you find my recipes doable! What kind of an oven are you looking for? Over here in France I bake in an electric oven. Sometimes my daughter in the U.S. has to adjust the temperature to accommodate her temperamental gas one. Enjoy! Fast and easy and delicious! Those look delicious! I think I like the traditional cranberry sauce the best, but all look quite good! You and my husband. I like that the relish has a more complex flavor and only takes about 10 minutes. No cooking required. The downside is that it has a short shelf life. Hence, it became this cake rather quickly. Can’t wait to see the fuit torte! So obsessed with cranberries and in particular cranberry sauce (I make it with orange juice and a zip of orange zest and if I changed that I think she would pine quietly away) so obsessed is she, that I couldn’t bear to make it for Thanksgiving as she, like her sisters was only with me in spirit. I will be making amends at Christmas when I have she and all her sisters at table! God rest your Mother in L’Ah and God grant you an oven thermometer! I had to fly to Europe to make it possible but in honesty it would have taken an army to keep me away from them!! Cranberry upside down sounds fabulous …. and I will be keeping my fingers crossed for your new oven too! I love cranberries. I wonder though if pineapple juice can be used instead of orange juice. I have some pineapple juice left and I’m trying to think what to do with it (other than drink). I think that it could be good too. I like that idea. You could also put in on chicken. I think I read somewhere that it is a meat tenderizer. I saw a sauce recipe this year that actually had crushed pineapple in it, so I think the juice would work. 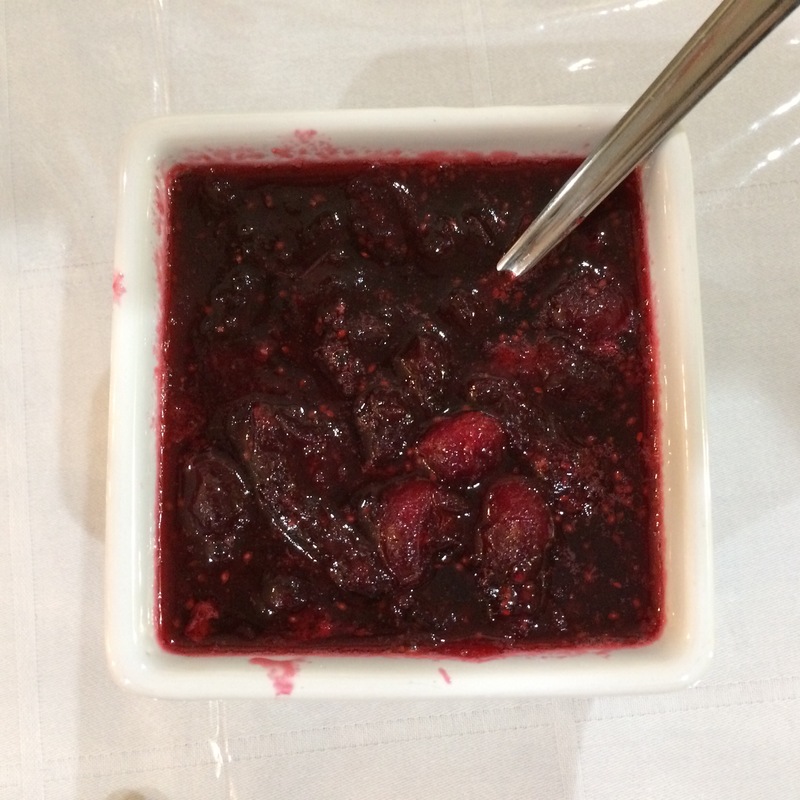 I love homemade cranberry sauce it’s so easy. 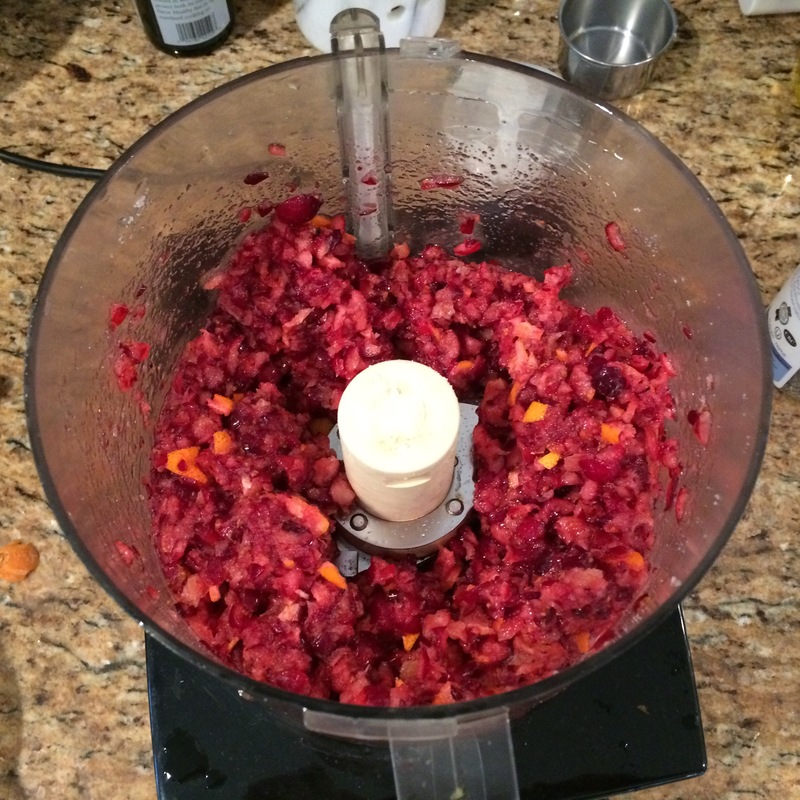 My mom made the cranberry relish with an old fashioned food grinder that clamped onto the kitchen cabinet. I love those grinders. They really work. I think the juice would work too. Crushed pineapple also sounds good. Maybe next year?